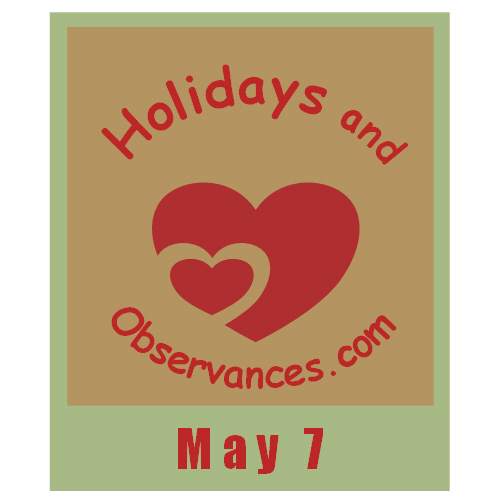 May 7 Holidays and Observances, Events, History, Recipe & More! The Astrological Sign for May 7 is Taurus. 1914 - Woodrow Wilson's (28th U.S. President) daughter Eleanor marries in The White House. Above, is part of a quote by English Poet, Robert Browning, who was born on this day in 1812. Today, May 7th is National Roast Leg of Lamb Day. 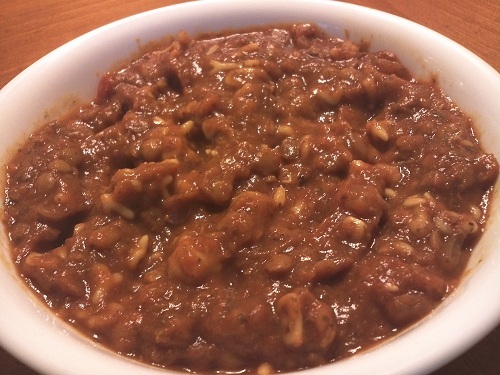 We didn't have a recipe for that, but we do have a recipe for Moroccan Harira Soup that can be made with Lamb. Kerry lived in Morocco for 8 years and here is what she had to say about the soup - "Harira is the traditional tomato soup of Morocco that is full of garbanzo beans and lentils. It is simply the best soup that I have ever eaten, although I had to acquire the taste of cilantro! Moroccans make it all year long, but especially during Ramadan to break the fast. You can get the recipe from Kerry's, Healthy Diet Habits website at the link above! 1697 - Stockholm's royal castle dating back to the medieval times is destroyed by fire and was ultimately replaced in the 18th century. 1970 - Long & Winding Road from the Beatles is released in the U.S.
Chasing Cars from Snow Patrol was on their Eye's Open album! Love Love Love Snow Patrol!! 1. (pathology) A disease or condition which is caused by an earlier disease or problem.